Wash and chop onion, jalapeno, cilantro and tomatoes. Heat a large nonstick skillet over medium-high heat. When hot, add coconut oil to pan. Sauté pork until lightly browned, about 4 minutes. Remove pork from pan and place in a bowl. 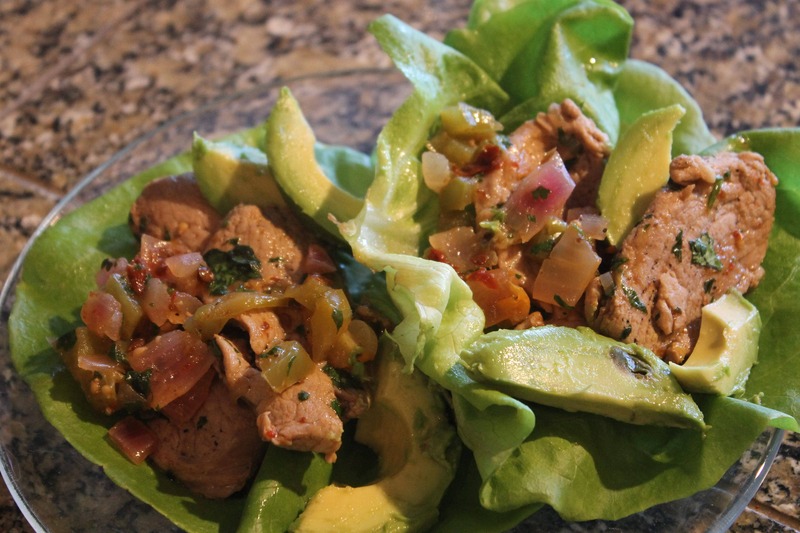 Top with fresh cilantro and avocado, and wrap with butter lettuce leaves to serve.